As of the present day, the 1,933-mile border between the United States and Mexico is the most heavily crossed – both legally and illegally – international boundary in the world. It is armored with stretches of steel and barbed wire, fortified with infrared cameras, imposing watchtowers, and blinding floodlights, and is patrolled by over twenty thousand guards. Desire to control illegal immigration is the main impetus for the ever-expanding militarization of the border today; however, the initiating force catalyzing its development was far more modest and had nothing to do with regulating the flow of people. Somewhat ironically, fencing on the border at Organ Pipe National Monument was initiated to protect the fragile environment and livestock from the damage and disease brought by migrating animals. It was only later that several key developments in U.S. policy accelerated the expansion of the border fence and couched the problem in human immigration and national security terms. The public discourse today is rife with disagreement over the advantages and detriments of the massively fortified border, and the history of its origins and proliferation illustrate how and why it stands as it does today. The earliest precursor to the construction of a border fence was the drive to actually draw lines between the nation states of the United States and Mexico. The area including Organ Pipe National Monument was not acquired until after the Mexican-American War in 1848 and the subsequent Gadsden Purchase in 1853, which ceded thirty thousand square miles of northern Mexico into what is now Arizona and New Mexico. Once the line between the two nations was officially demarcated, there was relative ease of movement among people on both sides of the border. The violent phase of the Mexican Revolution from 1910 to 1920 spurred major population shifts north and into the United States. The massive flux of immigrants seeking political asylum did not pose any perceived threat, however, as the United States wanted migrant labor in field and factory to aid the effort in WWI and the burgeoning economy appreciated cheap labor before and after the wartime boom. This sentiment is captured in a letter written by a cotton company executive to President Woodrow Wilson in 1917: “Personally, I believe that the Mexican laborers are the solution to our common labor problem in this country. Many of their people are here, this was once part of their country, and they can and they will do the work.” The late-1920s and 1930s saw a major downturn in Mexican immigration across the border and an upturn in xenophobic blame mainly due to Great Depression woes. Mexicans, however, were exempted from the strict quotas imposed by the immigration acts of 1921 and 1924 and continued to move with ease across the border, mainly as a result of their value as a source of cheap labor in the rapidly expanding border region and the migrant pull that arose during WWII. While this congenial attitude towards the porous southern border would dramatically change by the 1960s, the line that separated the United States and Mexico was largely conceived as just that– a line –for the early history of the Southwest and the ease of transnational movement made incalculable contributions to the prosperity of the budding region, overall. It was not human immigration, but rather environmental concerns that initially necessitated making the border less penetrable in the 1940’s. Organ Pipe National Park (ORPI) was established under the Organic Act in 1937, placing the border parcel of land under National Park Service (NPS) jurisdiction and care. The border between the United States and Mexico came under special scrutiny when NPS rangers observed migrations of Mexican cattle and other hoofed animals overgrazing in protected areas and potentially spreading diseases to native livestock and wildlife on the American side. Internal NPS documents detail the construction of cattle fencing at the international boundary straddling ORPI, but later reports indicate that while the fencing inhibited the entry and exit of cattle, it remained incomplete and failed to stop the migration of other animals. In correspondences with the NPS, C.M. Aldous, the Wildlife Research Biologist Supervisor for ORPI, acknowledged the partial success of the fencing and recommended more “now that the fence has become somewhat of a barrier to the natural movement into and out of Mexico and especially if it to be completed beyond the west boundary.” These recommendations that advocated for the use of fencing to control movement set into motion a parallel mentality that would later be applied to controlling the movement of humans across the international boundary through use of more fencing in the next decade. 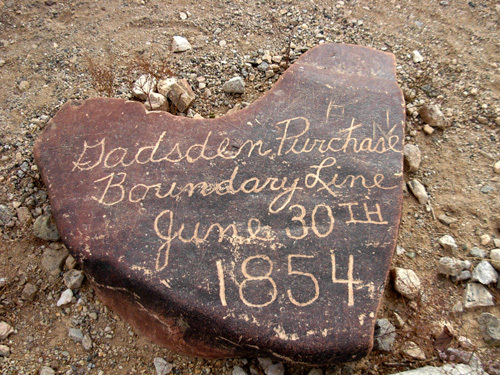 As immigration and border security rose to prominence on the national agenda in subsequent decades, the precedent of the NPS-imposed fencing worked to goad an intensification of this concept. Due, at least in part, to fencing’s perceived success, journalist Joseph Nevins theorizes, “barricades became a staple in the larger enforcement toolbox, one that increasingly involves measures that resemble aspects of the military doctrine.” In keeping with this notion, militarization of the border was initiated amidst the waging of the aptly named “War on Drugs” in the late 1960’s and many pointed to Mexico as a source of illicit drugs. The increased criminalization of marijuana worked to incorporate large-scale criminal prosecution at the border, as well. In 1969, President Nixon launched Operation Intercept, which mandated surprise individual inspections of any and all border crossings, whether they were by plane, car, or foot. Thousands of additional Border, Customs, and Immigration agents were dispatched to the Mexico border to carry out the mission and virtually shut down the border to the dismay of travelers and the heated acrimony of the Mexican government, which felt the action constituted a betrayal of an implicit understanding between the two nations to consult with each other on matters of bilateral significance. Antonio Carillo Flores, the Foreign Secretary of Mexico, urged Nixon to correct the “excesses” committed that were “negligible in stopping the traffic of marihuana and drugs, but great in harming the economy on both sides of the border and in creating frictions.” As the current state of the border shows, this warning was not heeded and the measures taken by Nixon to fortify the border fence would only be amplified by subsequent administrations. Moreover, many accuse Mexico of failing to match the United States’ level of effort to enforce the border in the present day, which presumptively is because the US has more at stake. However, this episode of unilateral American action at the border suggests an alternate reason which has deeper roots, namely that the pattern of disrespect was set in motion with measures like Operation Intercept and perpetuated by its continuation. major ports of entry like San Diego and El Paso, but only to divert it into more remote and inhospitable areas, like Organ Pipe National Monument. The inconsistently executed proliferation of the fencing barricades has saddled areas like ORPI with the dual responsibilities of preserving the protected lands, while also enforcing a militarization of the border it neighbors. The most recent major impetus for increasing the scope and fortification of the border fence arose after the terrorist attacks of 9/11 and the associated push to bolster border security nationwide. By 2006, President George W. Bush signed into law the Secure Fence Act, which mandated the construction of 850 miles of “at least two different layers of “reinforced fencing” that would be mediated by patrol roads at key stretches of the border. The intense focus on building up the border has carried a hefty price tag. 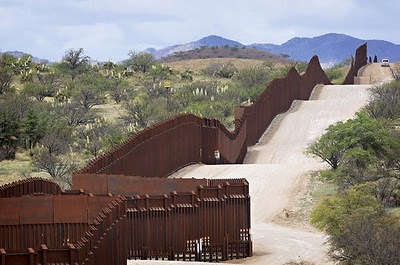 Between 1993 and 2007, the cost of border enforcement has escalated by 590 percent and this figure does not include the cost of constructing the barriers themselves which can cost anywhere from two to three million dollars per mile depending on varying topography, materials, and price of lands. These astronomical costs can only be projected to rise as efforts to maneuver around it arise and new innovations, like the “virtual fence” or SBINet, estimated to cost up to $30 billion, are implemented to combat the entropy. Paul Ganster and David Lorey, The U.S.-Mexican Border into the Twenty-First Century (Lanham, MD: Rowman and Littlefield Publications, 2008), 30. “International Boundary Animal Migration Investigations,” April 8, 1949, Folder: Organ Pipe Rules, Organ Pipe National Monument, 1907-1949, Box 2319, Central Classified Files, RG 79, NARA-MD, pg. 9. Joseph Nevins and Timothy Dunn, “Barricading the Border: A History of the U.S./Mexico Border,” Counterpunch Magazine, November 16, 2008, http://www.counterpunch.org/nevins11142008.html (accessed April 10, 2012). Kate Doyle, “Operation Intercept: The Perils of Unilateralism,” The National Security Archive, http://www.gwu.edu/~nsarchiv/NSAEBB/NSAEBB86/ (accessed April 4, 2012). 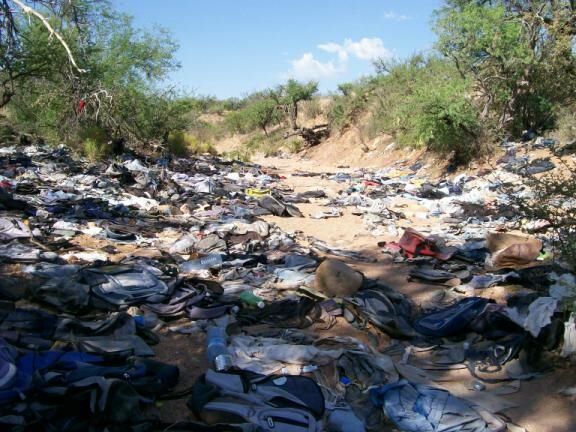 Kevin Mitchell, “US-Mexico Border Fence Almost Doubles,” World Socialist Web Site, December 12, 2007, http://www.wsws.org/articles/2007/dec2007/fenc-d12.shtml (accessed April 11, 2012).